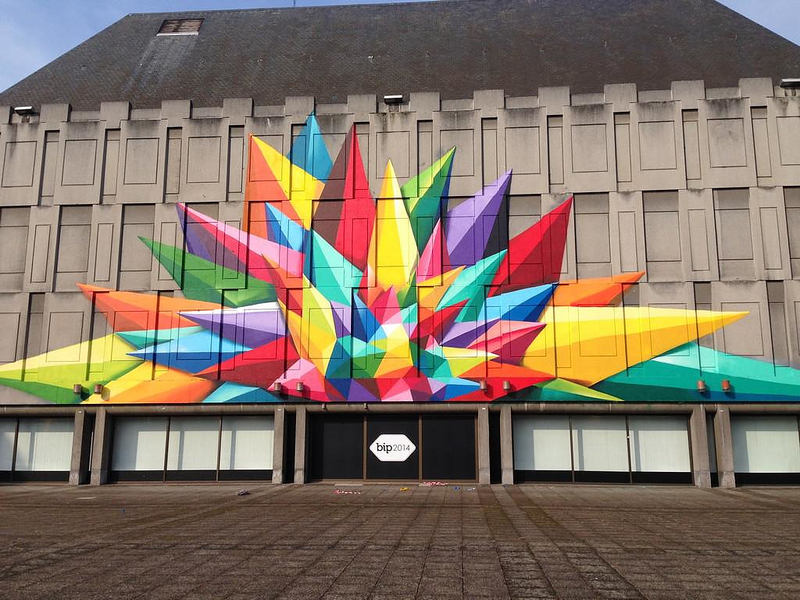 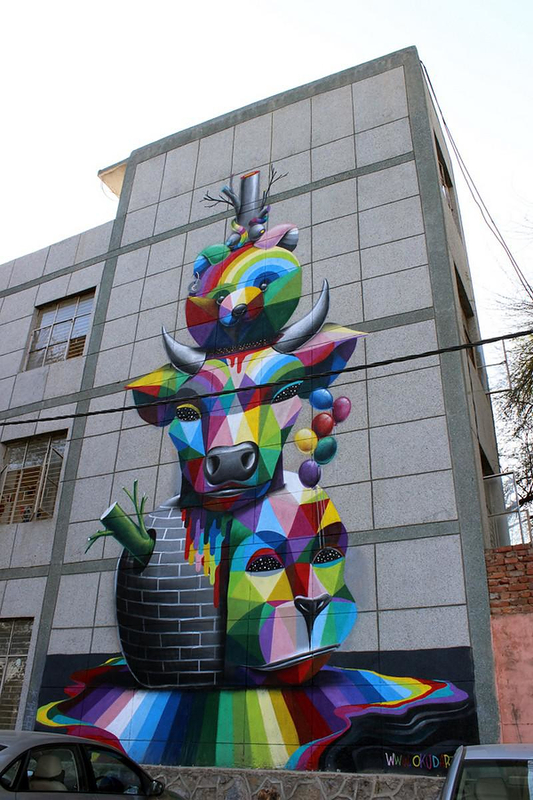 Colorful Wall Graffiti by Oscar Okuda San Miguel. 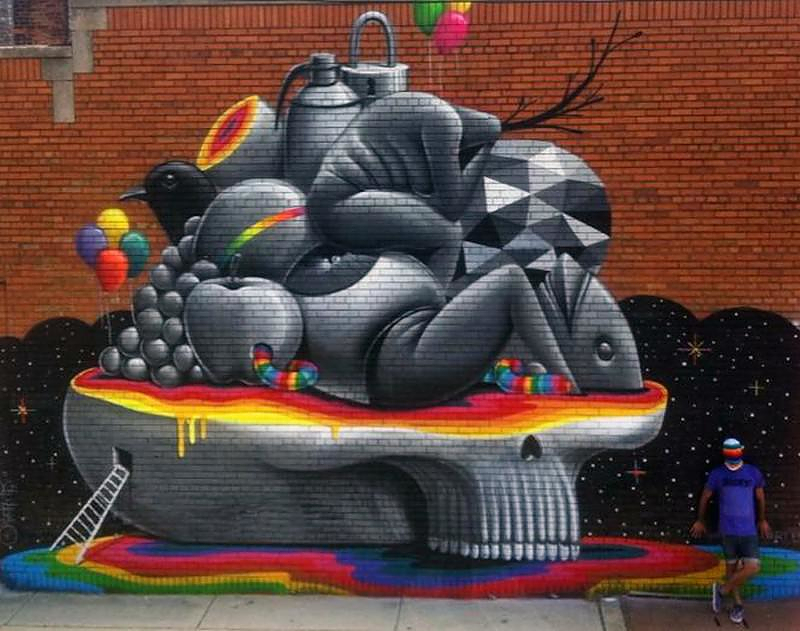 The impressive graffiti murals by Spanish street artist Okuda San Miguel are colorful works of art expressing the unique aesthetics of their creator. 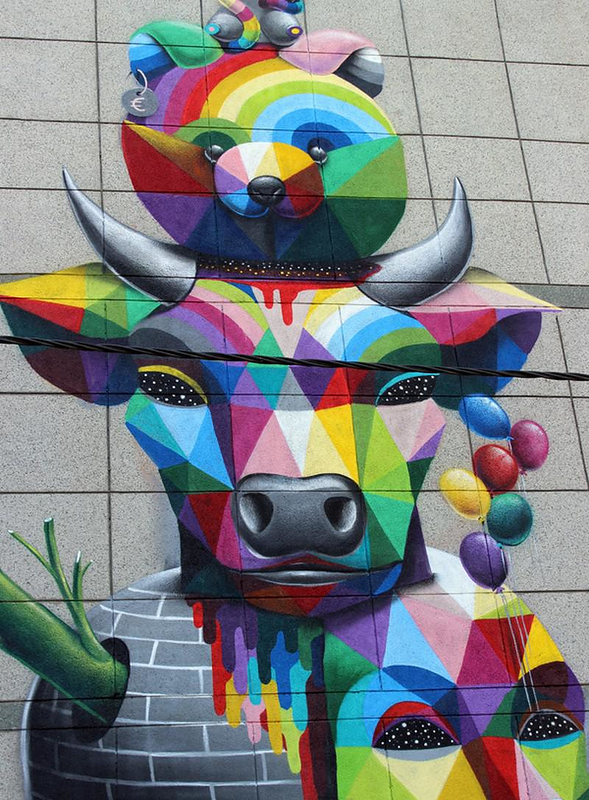 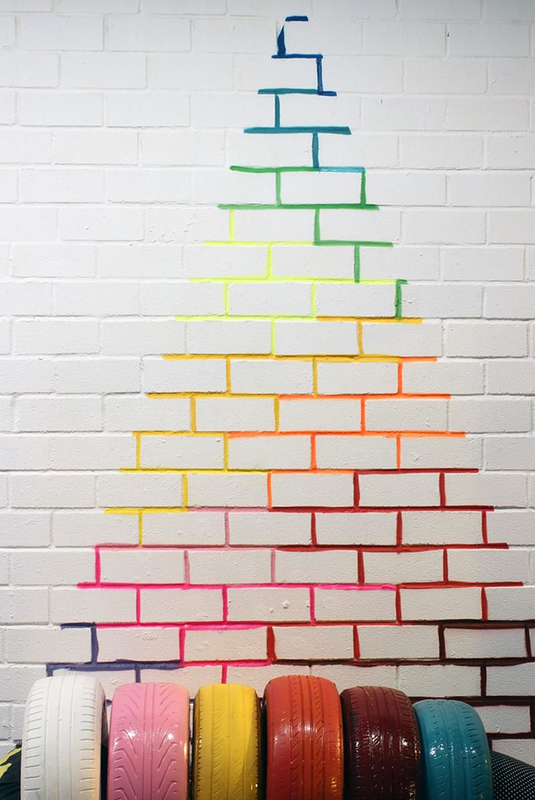 Okuda San Miguel features a large portfolio of works varying from photography to large wall paintings and installations. 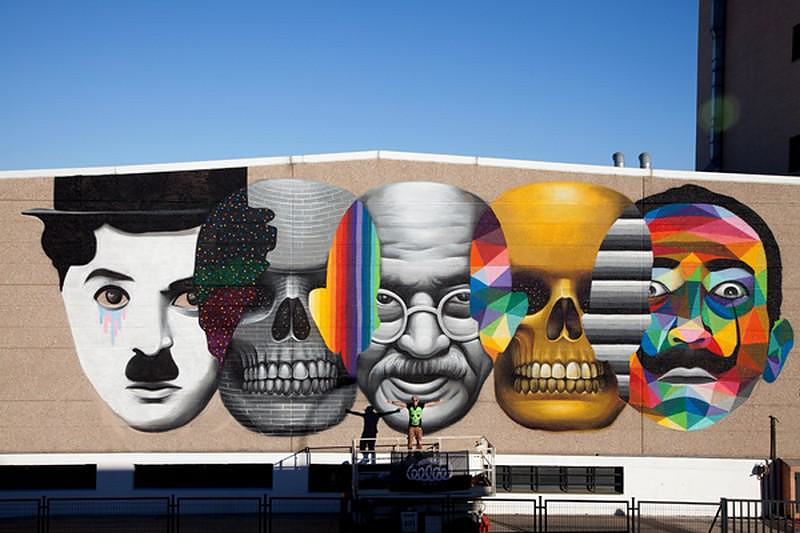 His works are featured both in galleries and out in the streets of various cities of the world. 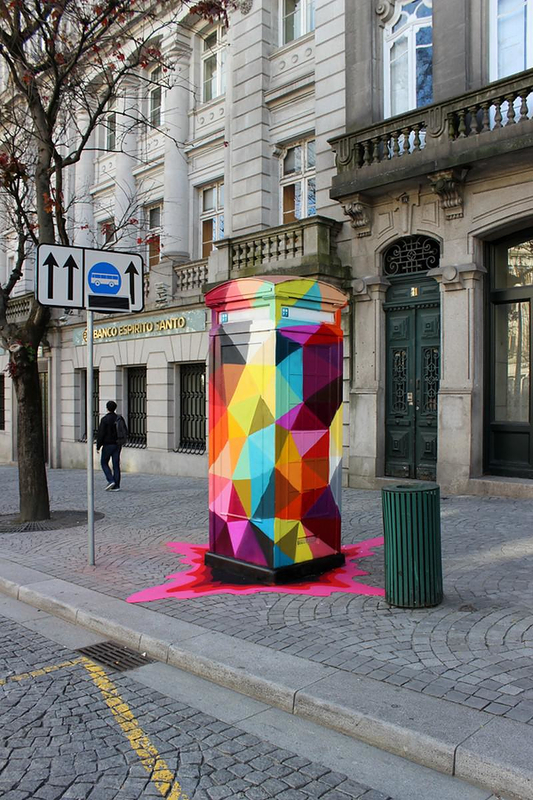 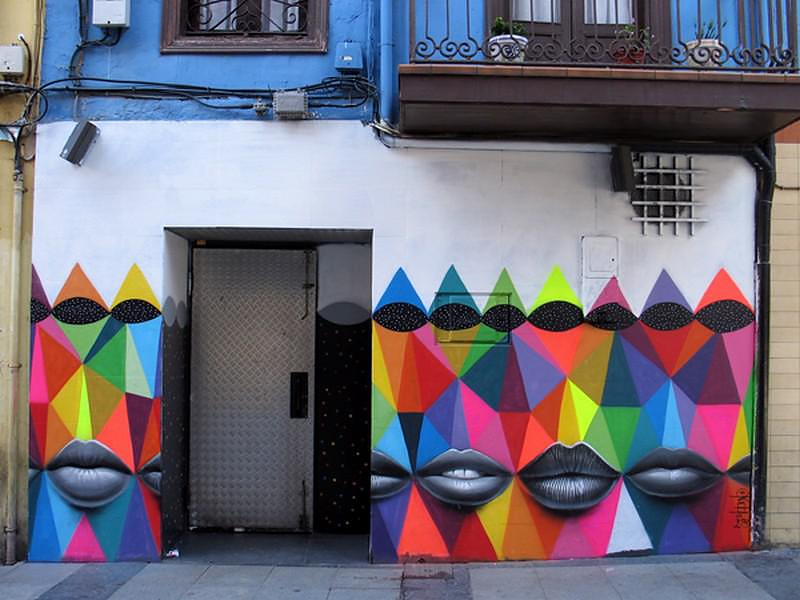 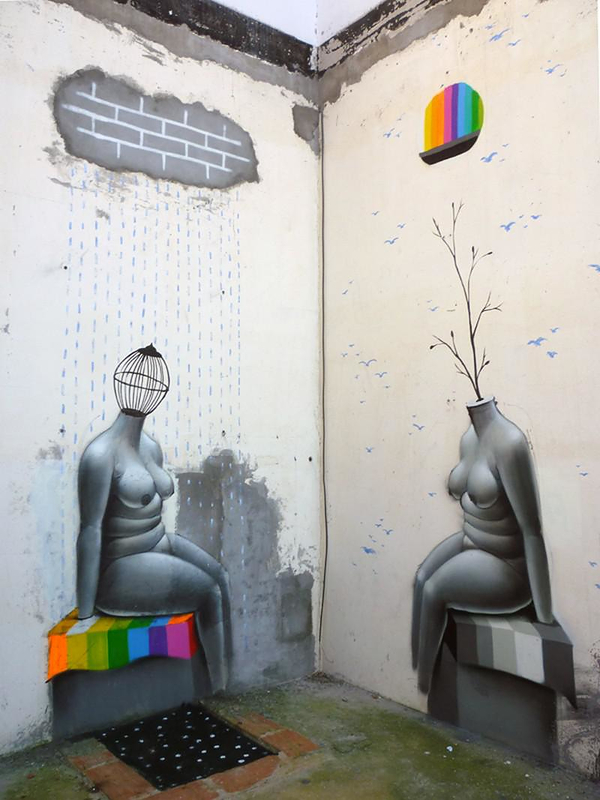 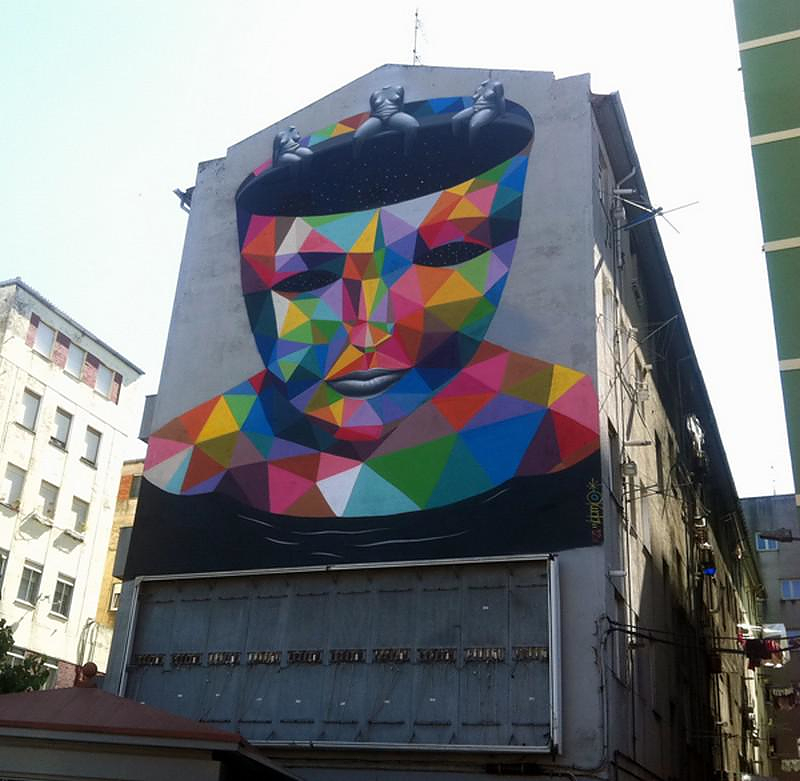 Born in Santander in 1980 Oscar (Okuda) San Miguel Erice is Spanish, and graduated from the Bellas Artes department of the University of Complutense. 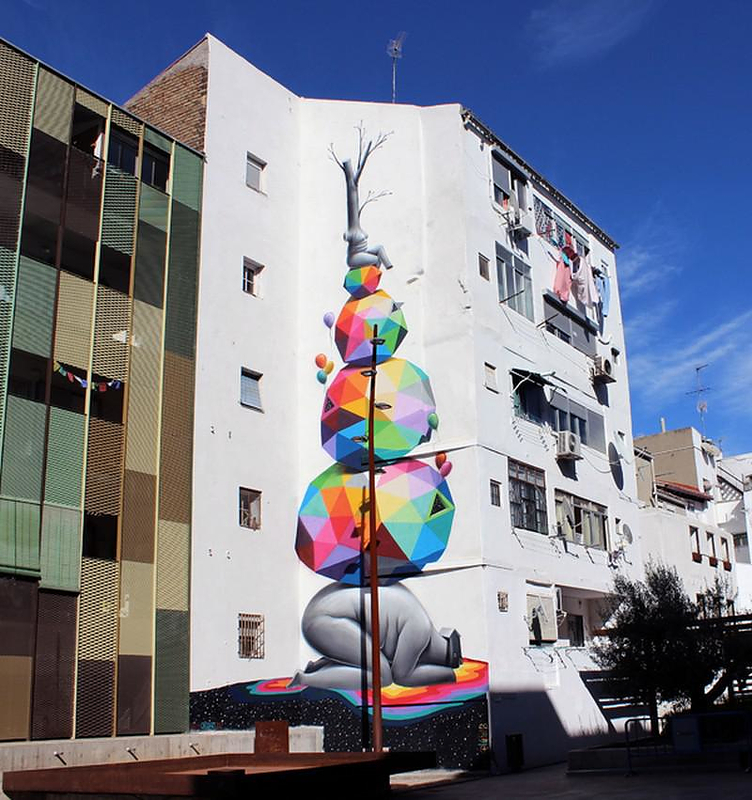 He lives and works mainly in Madrid but many of his works are located in various cities around the globe. 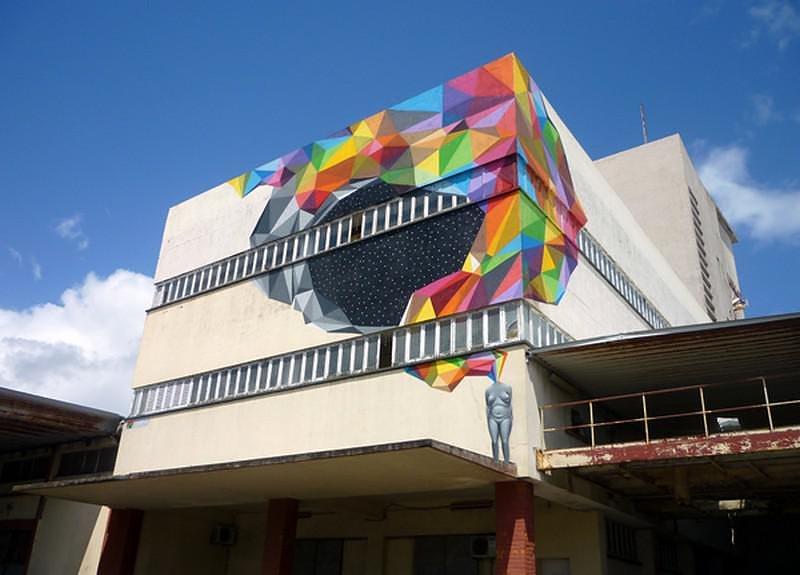 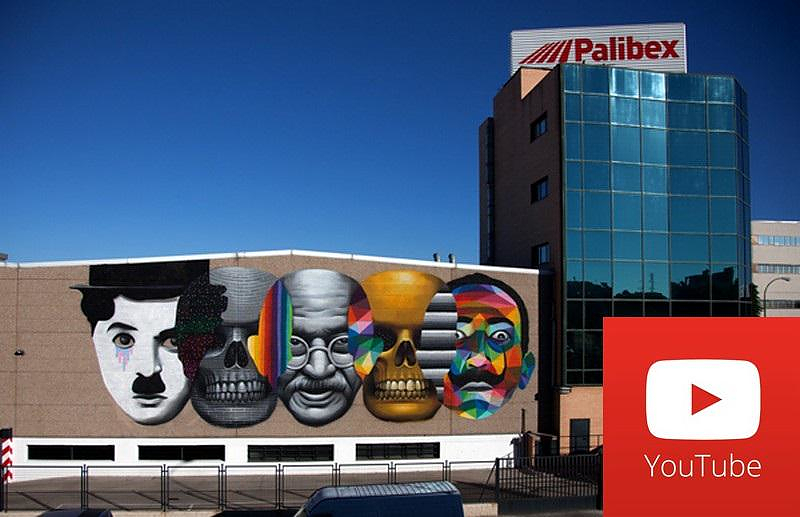 Since 1997 his work on abandoned walls and factories acquired a unique and characteristic style. 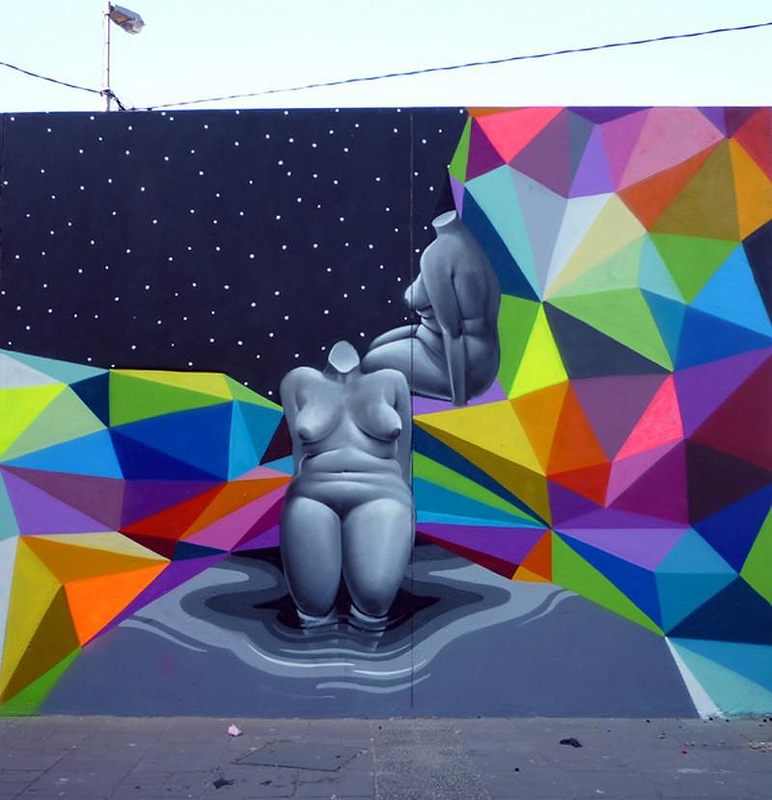 His style matured and became futher personalized after Okuda San Miguel’s participation in the IAM Project, together with San and Nano1814. 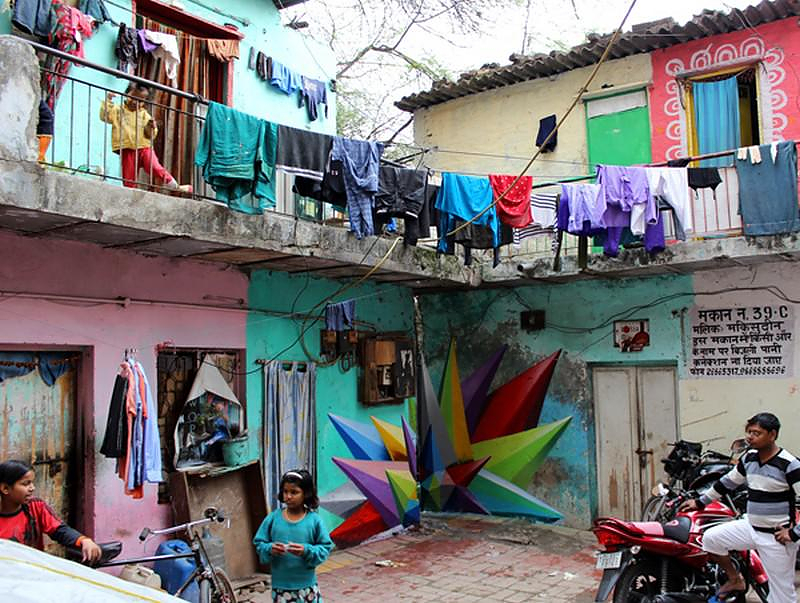 Works and illustrations of the artist have been featured in posters and art installations sponsored by a number of world famous brands such as Puma, Adidas, Kia Motors, POLO by Ralph Lauren and many more. 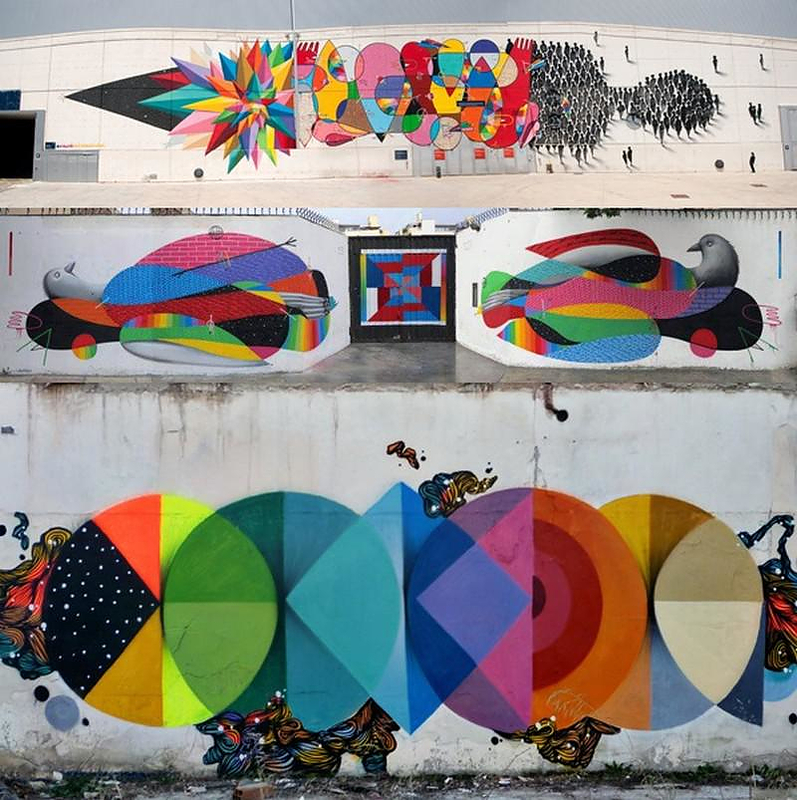 The characteristics of his style are geometric colorful shapes employed in contrast with grey organic forms. 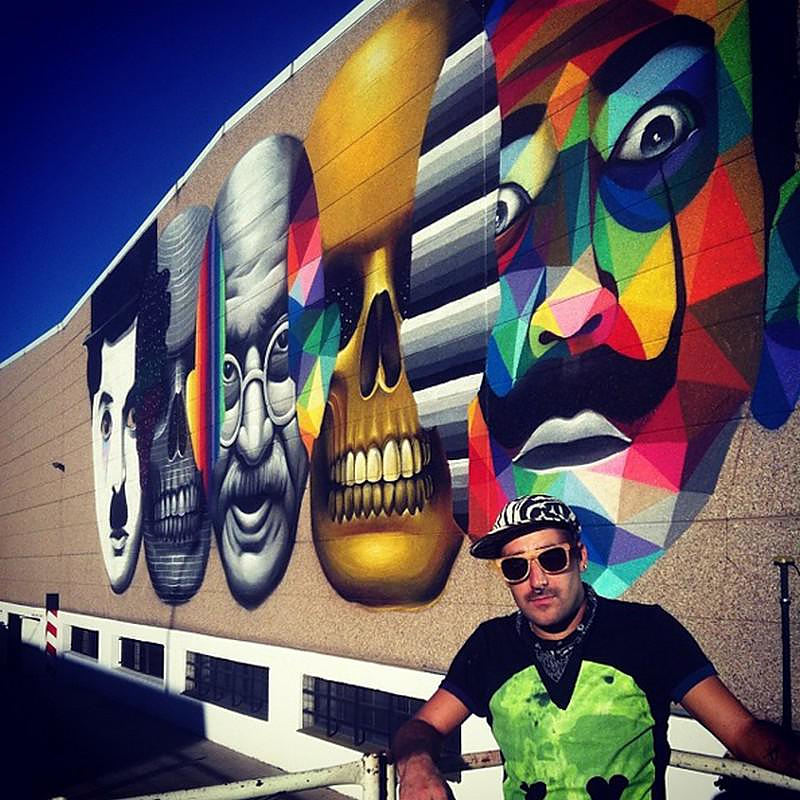 His art can be described as pop surrealism in street art. 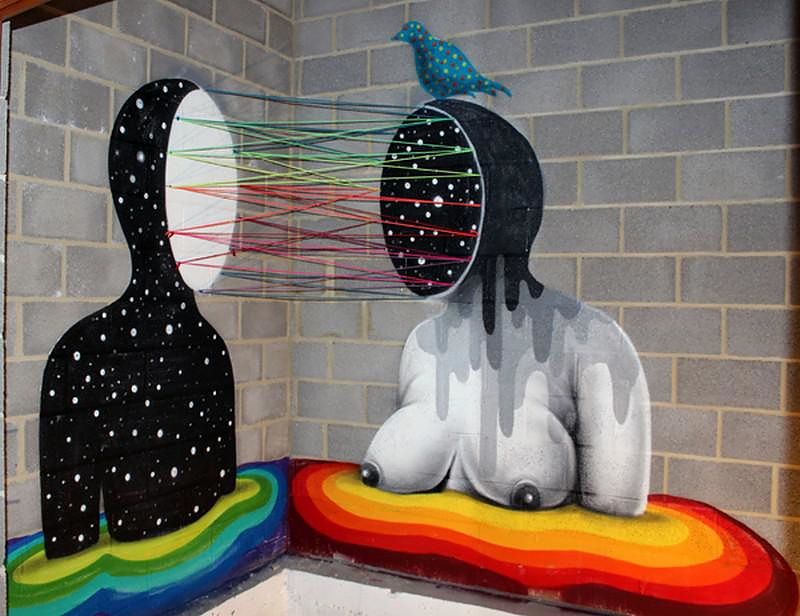 Okuda San Miguel’s themes explore the contradictions of existentialism, the universe, the infinity, the meaning of life, the false liberty promoted by capitalism. 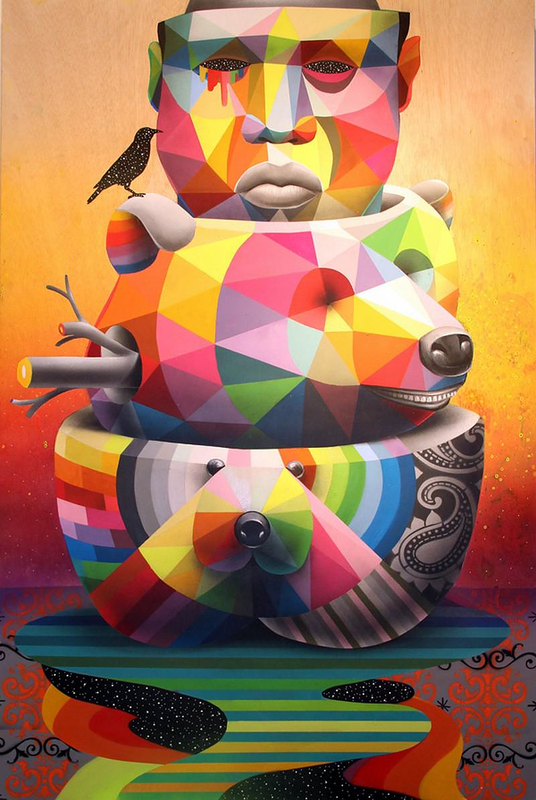 Indeed, in his works Okuda San Miguel expresses the conflict between modernity and our roots and between the human being and oneself. 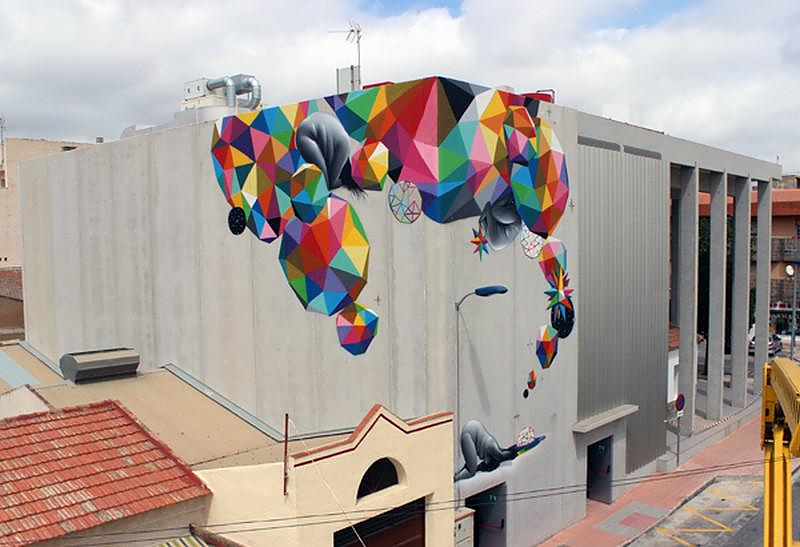 Below we selected some representative samples of Okuda San Miguel’s wall graffiti works and a few notable illustrations featured in galleries, in order to highlight the work of this important modern artist. 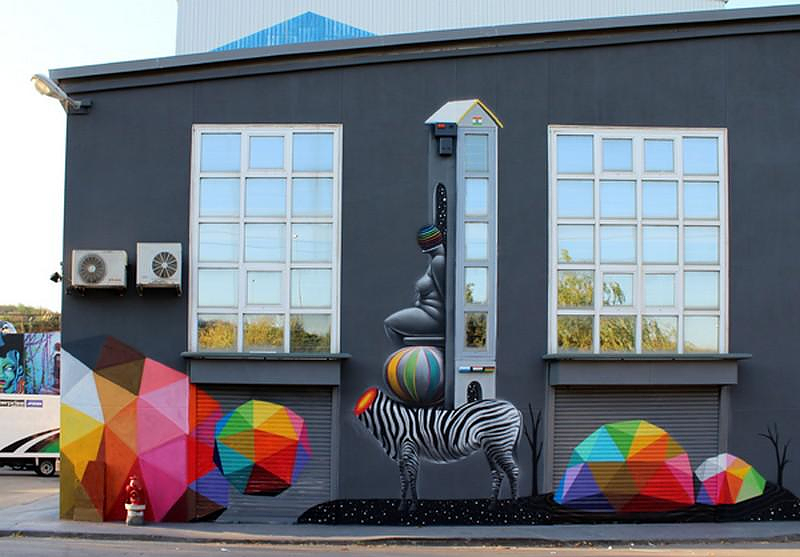 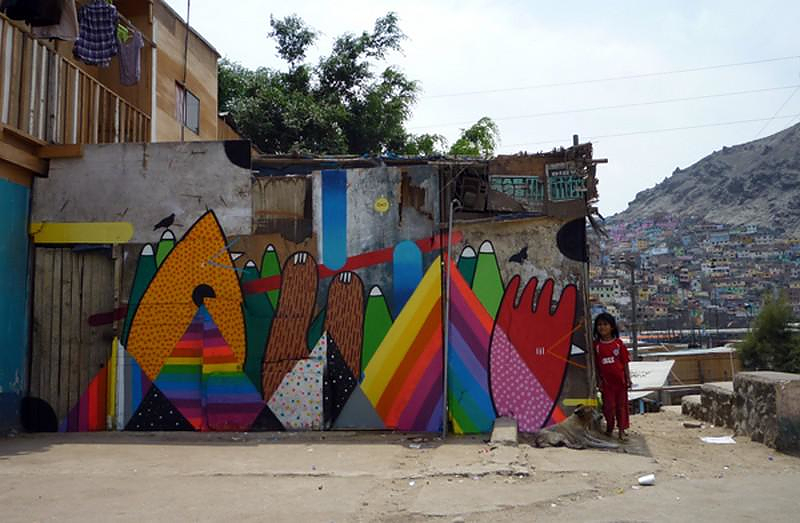 His precious and colorful wall paintings add color to modern urban environments and provide a unique artistic perspective and food for thought. 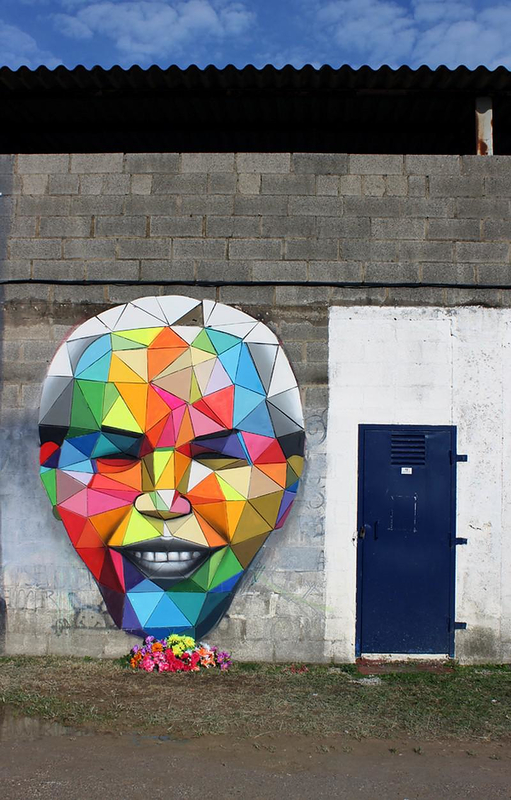 Mural tribute to Oscar Niemeyer by Eduardo Kobra.